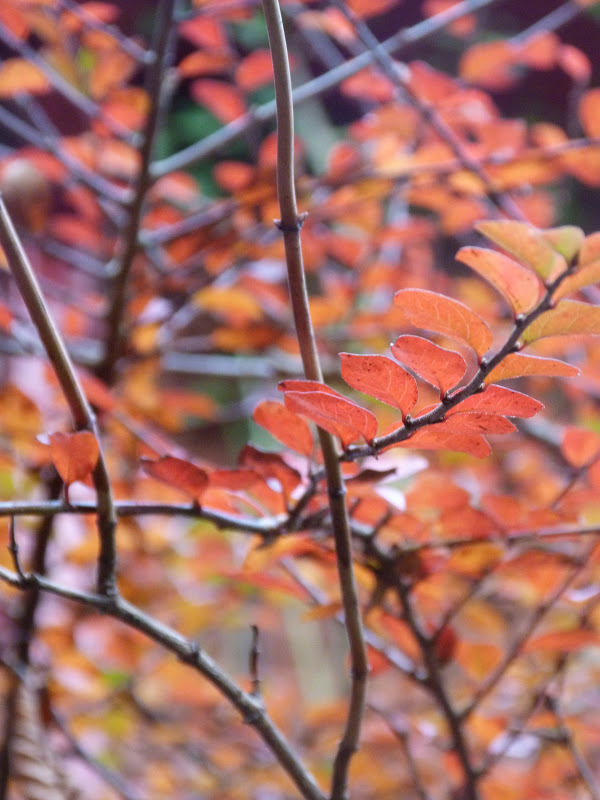 November seems to be about clearing old leaves, cutting back and pruning and although colour is limited there are still some stunning jewel colours to be found. I mentioned last month that hebes are amongst my favourite plants, and this one is new. It's called Wild Romance and is a really striking purple. 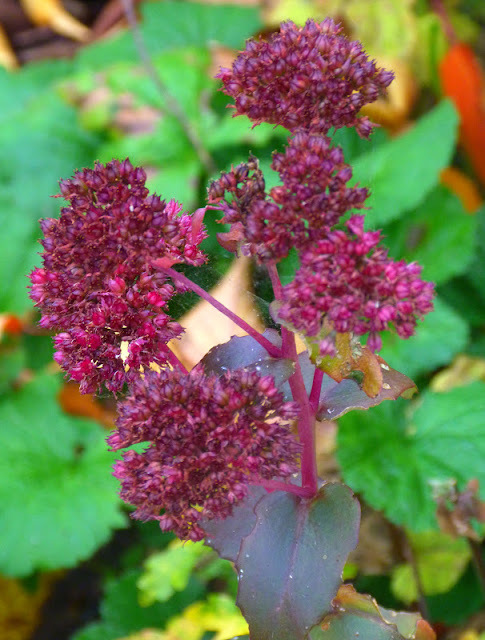 I'm still a relative newcomer to all this, so I've been watching Gardeners' World and looking in a couple of gardening books for lists of things to do at this time of year. As per Monty Don's advice I've cut back all the crocosmia and put my Cosmos Chocca Mocca into a pot and placed it on an inside window-sill to protect it from the frost. 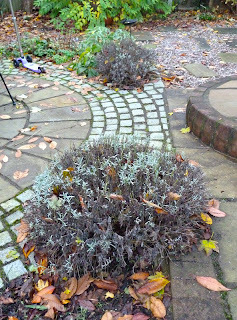 The lavenders, which were glorious this year, needed a good haircut which I've done while keeping the dome shape they held all summer. I'm not even sure if I should have cut them back even further, but I've taken them back to the wood and I hope that'll do. Apart from that I've been a bit gung-ho with the secateurs and pruning shears and have cut back some, as yet, unidentified shrubs. I also dug up part of a huge fern which had dominated a border - but as I don't have anything to replace the whole thing I've left part of it in the ground for now. Ferns are not my favourite plants so I don't imagine it'll still be there next year. I've still got three packs of tulip bulbs to plant, and more pruning to be done, but I'm going to have to try and identify some of the shrubs before I start hacking them back. I don't want to do more damage than good. I'm still trying to get the hang of this gardening lark, but I'm enjoying it.